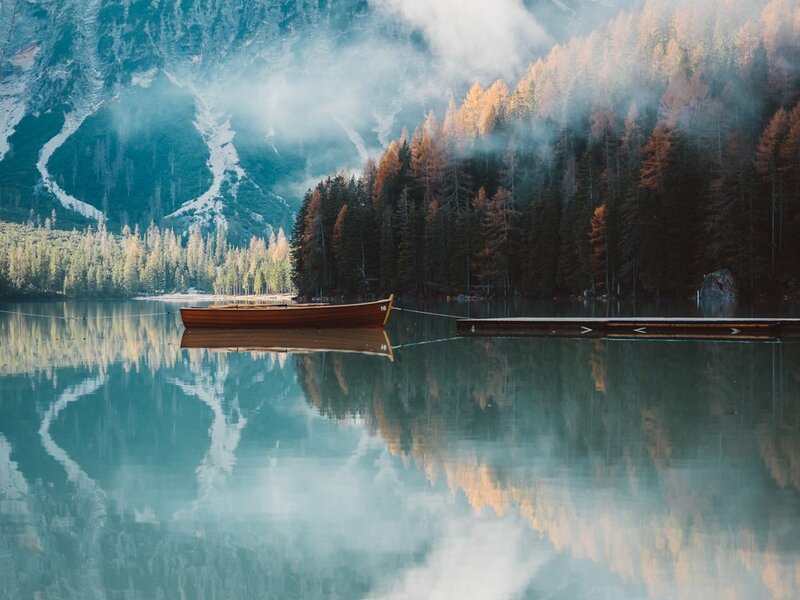 A cultural adventure through northern Italy's most photogenic, lesser known locations. A cultural exploration…a photographic adventure! Adventure your way through Italy's lake region and the many unique villages of Lake Garda. 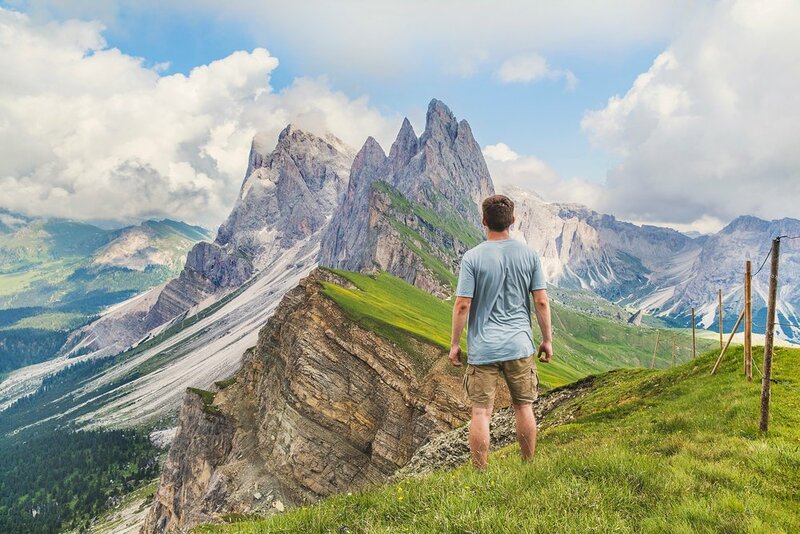 Towering mountains and pristine alpine waters will lead you further north to Bolzano - home to the spellbinding Italian Alps. 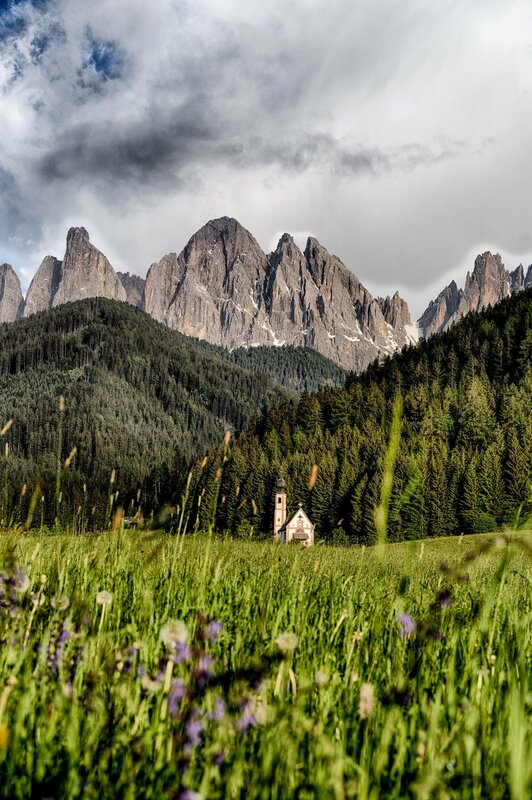 Near the Austrian Italian border you'll visit an unspoiled natural paradise, before heading to Verona. 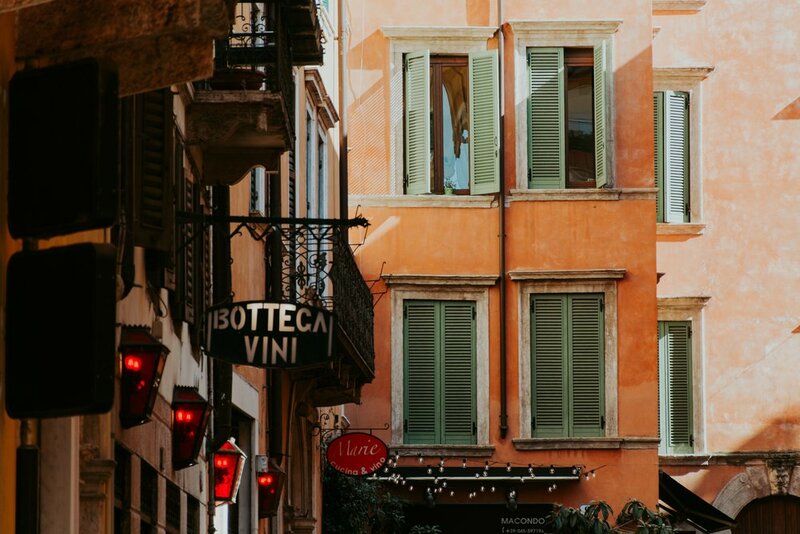 There you’ll soak in the history of Italy, visit ancient sites and feast on local bread, cheese, olives and wines. Day 1: Explore Sirmione, a narrow 2-mile strip of land extending out into Lake Garda. 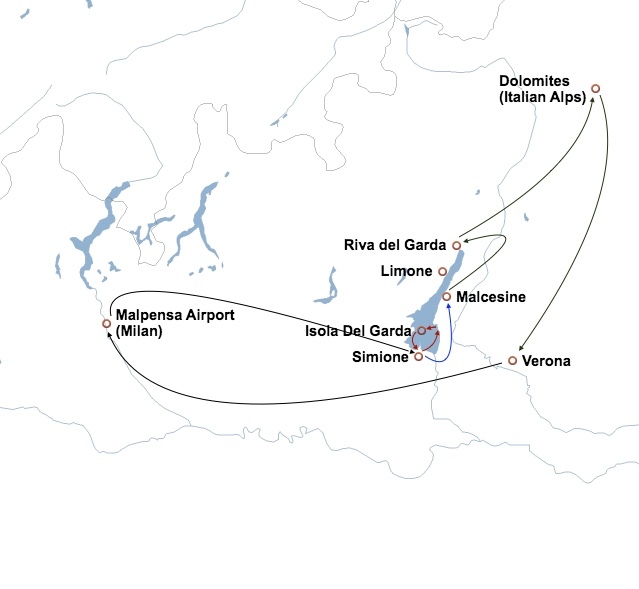 Take a private speed boat tour of the lake, lush Isola Del Garda and magnificent neo-gothic Villa Borghese. Day 2: Discover the secluded cove of Limone Sul Garda, heights of Monte Baldo and the medieval lakeside village of Malcesine. Day 4: Walk the vineyards, explore the cellars and learn about the ancient Appassimento method used to create the Amarone vintage (a dry red wine made by drying grapes for up to 6 months) in Valpolicella. Eat traditional, regional dishes like Risotto Amarone prepared by the vineyard's family members. Day 5: Traverse the fertile, volcanic hills of Veneto on horseback. Ride at your pace until reaching the hilltop vineyard of Soave (a white grape variety grown from this region's rich, volcanic soil). Taste several vintages and learn about this special wine before returning via horseback with the sun setting in the distance. Day 6: Historic discoveries, architectural styles and regional delights in Verona. All itineraries are fully customizable and may or may not include all items listed above. Transfers: all planned transportation during your journey, including airport pick up and drop off in a comfortable, air-conditioned vehicle. Accommodation: 5 nights in rustic villa’s, small boutique hotels based on two sharing a twin or double room. Meals: 2 of 3 amazing daily meals. Activities: experienced photography instructor will provide guidance and coaching on days one, two and three. All planned activities as listed on your final journey itinerary. For a supplement, paragliding, canyoning and hot air ballooning are also available. Your local, expert, photography instructors have at least 10 + years of experience shooting and teaching photography in the field. Your instructors have taught both amateur and professional students from around the world so all skill levels are welcome! Your instructors have held workshops in Italy, France, Switzerland, Iceland, Norway and the UK!